Dr You is a medical doctor who majored in internal medicine from Severance hospital, Korea. He received his Master of Medical Science at the same university. 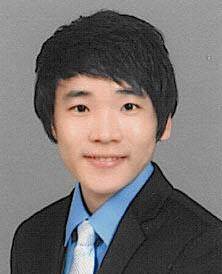 Currently he is a PhD candidate in the Department of Biomedical Informatics, Ajou university and studies primarily OHDSI network research. He received the best community contribution award for clinical evidence generation at the 2017 OHDSI symposium. He works as a member of several OHDSI working group: Genomic WG, Population-Level Estimation WG, and Patient-Level-Prediction Oncology WG. You, Seng Chan, Hojun Park, Dukyong Yoon, Sooyoung Park, Boyoung Joung, and Rae Woong Park. “Olmesartan Is Not Associated with the Risk of Enteropathy: A Korean Nationwide Observational Cohort Study.” The Korean Journal of Internal Medicine, November 27, 2017. https://doi.org/.0.0.0. Sohn, Jungwoo, Seng Chan You (co-first), Jaelim Cho, Yoon Jung Choi, Boyoung Joung, and Changsoo Kim. “Susceptibility to Ambient Particulate Matter on Emergency Care Utilization for Ischemic Heart Disease in Seoul, Korea.” Environmental Science and Pollution Research, July 5, 2016, 1–8. doi:10.1007/s11356-016-7144-9. You, Seng Chan, Kwang Joon Kim, Seung Up Kim, Beom Kyung Kim, Jun Yong Park, Do Young Kim, Sang Hoon Ahn, and Kwang-Hyub Han. “Hepatic Fibrosis Assessed Using Transient Elastography Independently Associated with Coronary Artery Calcification.” Journal of Gastroenterology and Hepatology 30, no. 10 (October 1, 2015): 1536–42. doi:10.1111/jgh.12992.